Sublative Skin Resurfacing is a completely non-invasive skin treatment, able to plump uneven skin from the inside out with natural collagen production. Ask any skincare professional and they will undoubtedly agree, the number one answer to revitalizing textured or pigmented skin is collagen. Skin care brands try time and time again to bottle collagen and sell it back to us when really, it is within us all along—just needs a little encouragement. As collagen is a main structural protein found naturally within our bodies, stimulating the creation of new collagen cells is the safest and most effective way to correct skin irregularities. But how can we do this? Meet Syneron Candela’s Sublative Skin Resurfacing at Enlighten Laser and Skin Care Clinics. What is Sublative Skin Resurfacing? 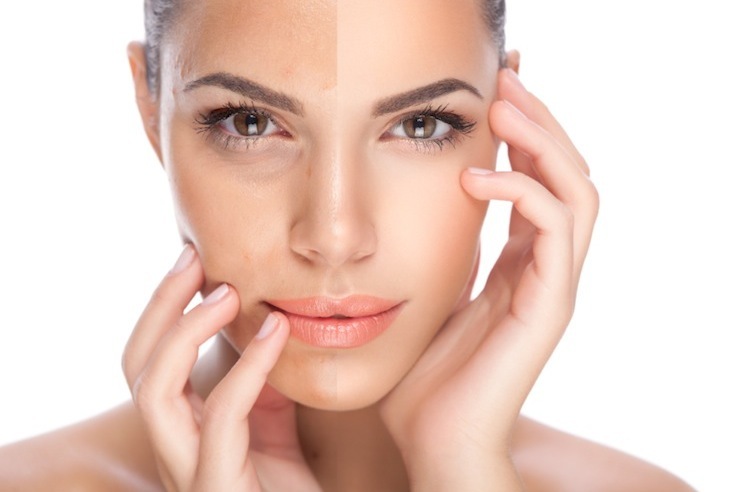 Sublative Skin Resurfacing is a non-invasive skin treatment that works to stimulate the body’s natural collagen production, to reveal smoother, clearer and more even skin. At Enlighten Laser we trust the advanced Elos Plus system from Syneron Candela to administer our Sublative treatments. Using only the power of fractionated bi-polar radio frequency (RF), Sublative technology reaches deep into the dermis and encourages the production of collagen and elastin—essentially resurfacing the skin from the inside out. Unlike other skin resurfacing practices that use laser or light therapy, which can yield weeks of downtime and discomfort, Sublative does not disrupt the epidermal layer of skin, allowing you to get back to your regular daily schedule immediately post-treatment. Bi-polar RF technology is administered to the skin through a machine head which includes multi-electrode pins. These pins create a grid like pattern when applied across the skin, meaning only a certain section of the skin is actually being treated at one time. The skin left untreated around these pin dots is what will produce new collagen to “heal” the skin penetrated by the RF energy. What Does Sublative Skin Resurfacing Treat? As Sublative Skin Resurfacing is a completely non-invasive treatment, each session is comfortable and quick. The process is similar to that of a regular facial, the only difference being the Elos Plus machine is used in place of skincare products. The head of the machine is placed over the skin in sections, passing over the same areas multiple times in different directions. The entire process is complete in half an hour and allows you to get back to your regular routine immediately, making Sublative the perfect lunch hour treatment. Results will vary depending on the type of skin and the amount of skin issues. However, many Enlighten Laser clients are able to reach their skin goals in as little as three treatments. Sessions are normally spaced at least four to six weeks apart, to ensure skin has fully healed. Results are gradual, as the skin being treated is within the dermal layer and needs time to rise to the epidermis. A few weeks after the initial session, skin becomes noticeably softer, clearer and smoother while looking completely natural. Sublative skin treatments are known to be quite comfortable, especially when compared to their laser or light therapy counterparts. Many of our clients have likened the sensation to a dull tingly feeling, or a series of tiny needle pricks. A topical anesthetic is available upon request. The cost of a Sublative Skin Resurfacing Treatment greatly depends on how many sessions are deemed necessary. For an accurate estimate, we strongly suggest booking a free consultation at one of our many Enlighten Laser locations. Book your free Sublative Skin Resurfacing consultation at the Enlighten Laser and Skin Care Clinic nearest you.